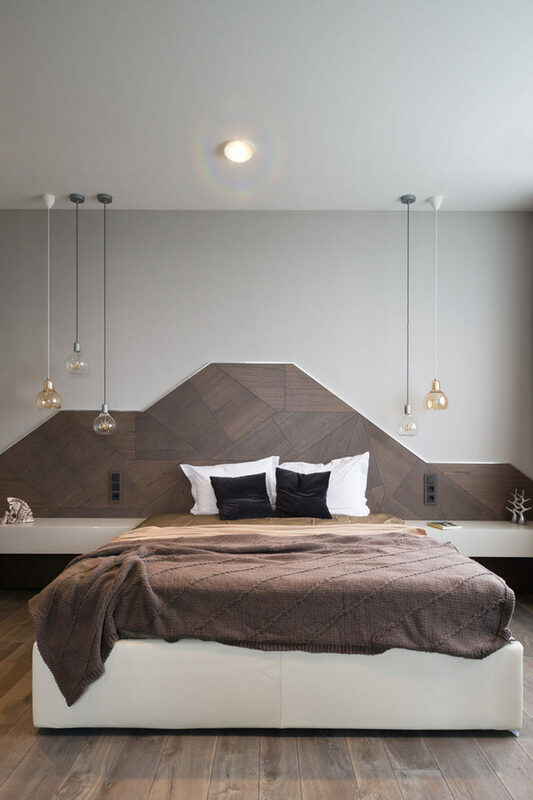 Olga Khovanskaya of Moscow-based MOPS architecture studio, got creative and included a custom wood headboard in the design of this bedroom. 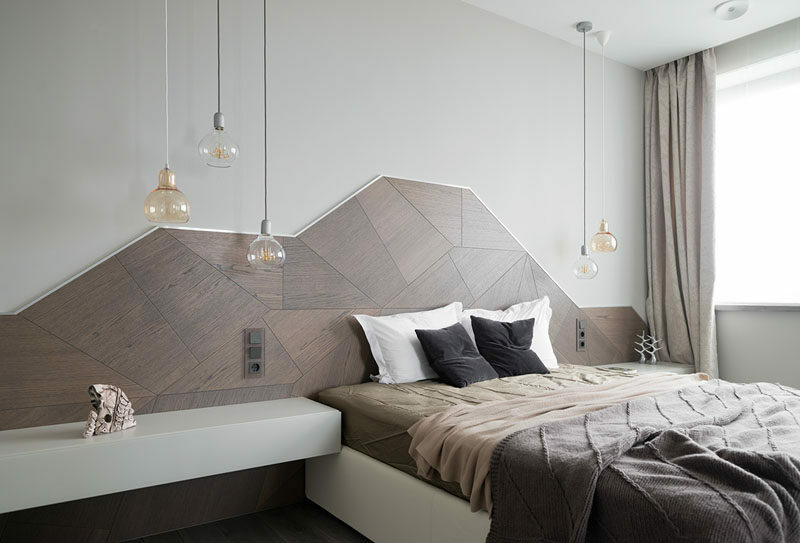 The headboard runs the width of the bedroom and is designed to look like a mountain range. 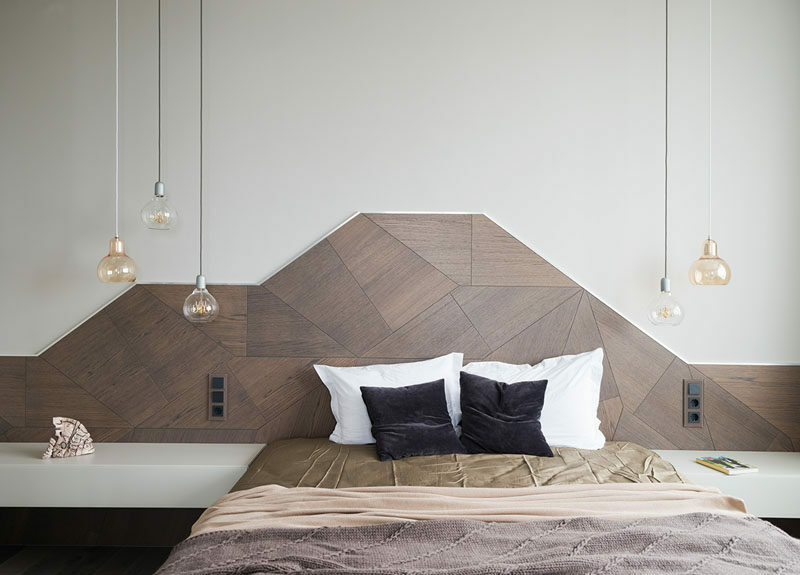 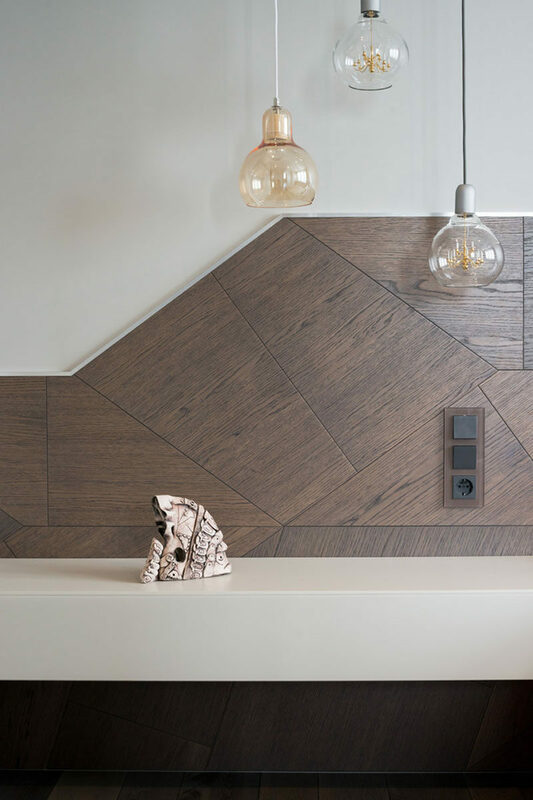 By using a variety of cut wood pieces, it gives the headboard a sense of texture and a touch of geometric design. 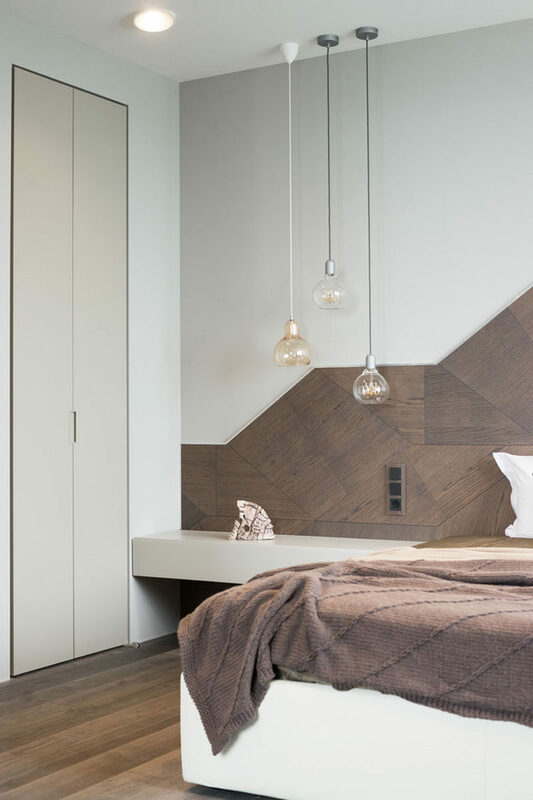 A frame has also been added to nicely finish off the wooden edges of the headboard.